Select the company by clicking on the name. Click Evidence of Insurability. 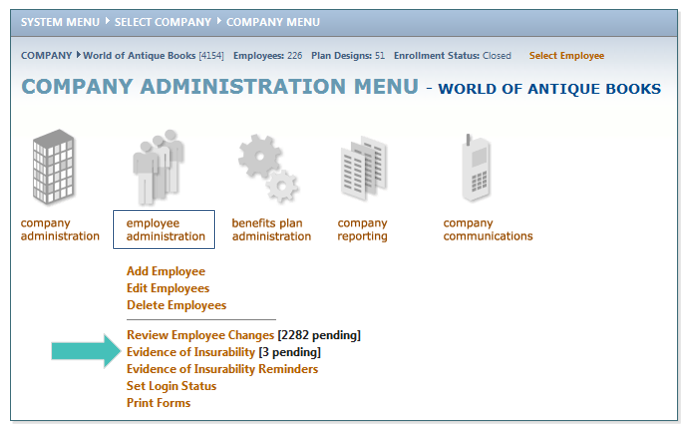 When you select this menu item, the employees pending underwriting approval are listed. You may either view pending enrollments for all plan types or a specific plan type, such as Voluntary Life, by selecting the drop-down box next to Show plan type. Enter the date that the employee submitted their EOI form in the corresponding box under Date Received. Enter the total coverage amount under the Approved Coverage section, (either the Elected Coverage amount or the lesser amount approved by the Insurance Carrier). 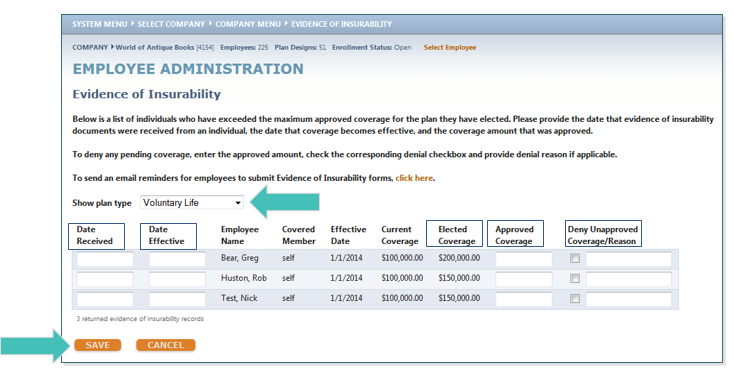 If the employee’s Elected Coverage amount was denied by the carrier, check the appropriate checkbox and give the reason for Denial Unapproved Coverage/Reason.